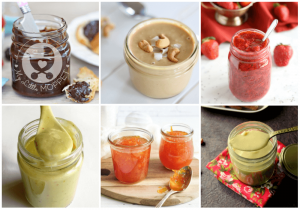 The New Year has dawned and everyone’s in the mood for eating healthy. We’re busy cleaning out our refrigerators and pantry, throwing out unhealthy foods that are said to be bad for our health. One food that most people would agree is unhealthy is butter. Yes, too much butter does end up on your waistline, but the health problems are mainly due to using store bought butter, rather than homemade butter. 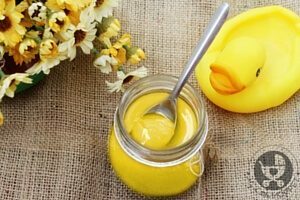 Homemade butter is certainly superior to store bought butter, both in terms of flavor and health benefits. Commercially manufactured butter is made when cow’s milk undergoes extreme heat and pressure, and most nutrients are lost in this process. Preservatives are also added to increase the shelf life, which can cause all kinds of health problems in the long run. 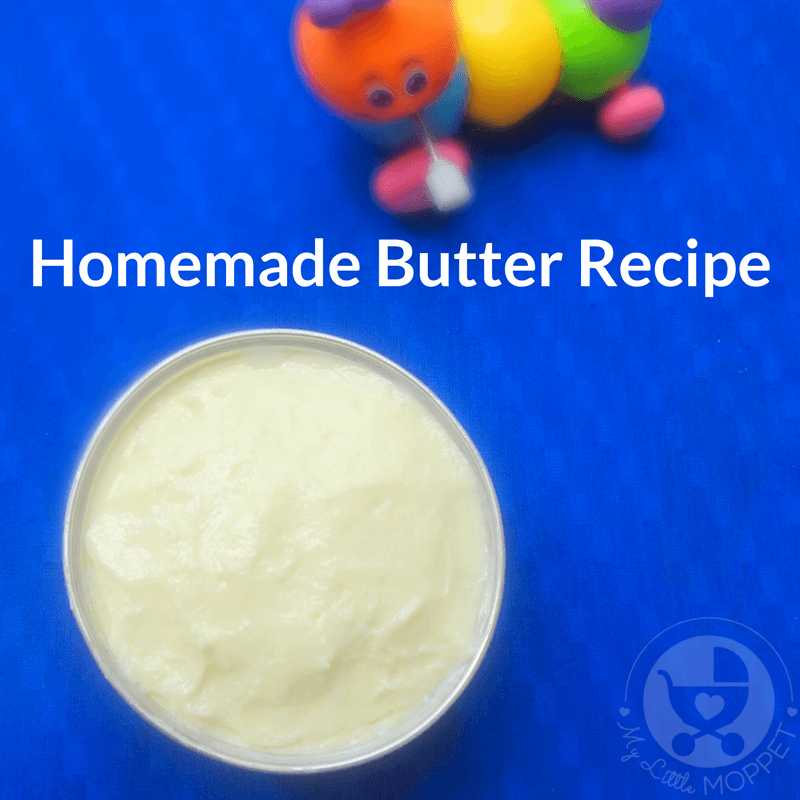 If you’d like to try homemade butter but are confused where to start, we’ve got a simple homemade butter recipe right here. 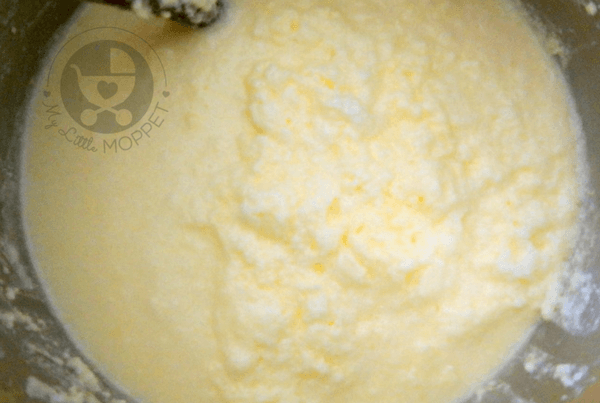 Once you taste the goodness of homemade butter, you’ll never go back to the store bought version! 1. Heat milk in a boiling pan and let it boil. (Use full fat full cream milk). When it is about boil,simmer and let it get heated up for 5 minutes.Ensure that the milk does not overflow. 2. Turn off the heat and bring the milk to room temperature. You will find a thick layer of malai on top of it. 3. 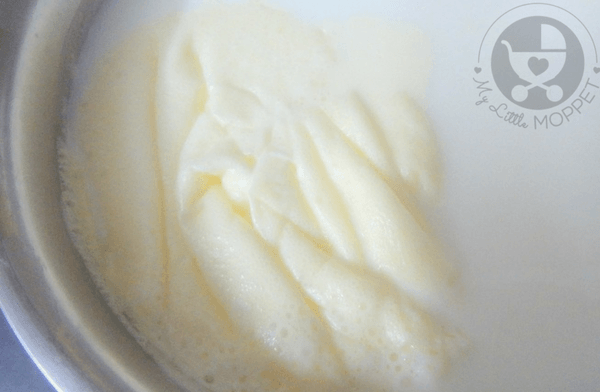 Collect the malai or cream using a clean spoon and store it in a container or glass bottle. Ensure that the container is absolutely clean and dry. Store the cream in the refrigerator. Repeat this process for 15-20 days till you have enough cream. 4. 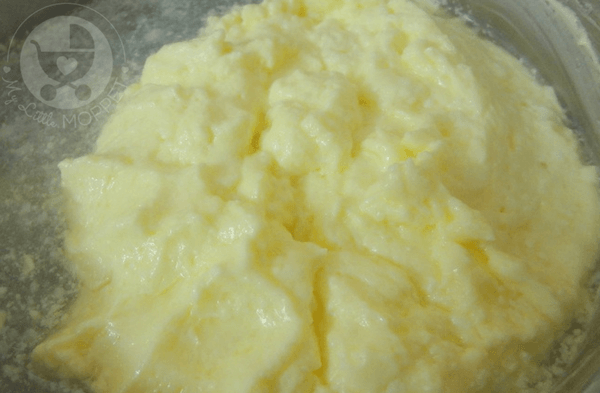 Once the container is full or you have enough malai to make butter, add curd to the container and allow the container to stay at room temperature for 8 hours or over night. 5. Transfer the contents of this container to a vessel. Add water to it and start churning using a traditional whisk (mathu) or electric beater. 6. The mixture will begin to froth in 2-5 minutes. Continue to whisk/beat/churn well in circular motion for few more minutes (not more than 10 minutes). 7. You will find a thick layer of butter gathering on the top of the froth. Collect this using your hands and transfer to a bowl with water. 8. Repeat the steps 6-7 till no more butter collects on top. 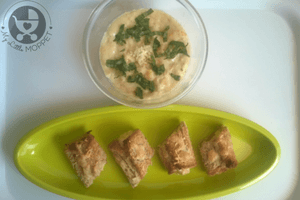 The liquid left beneath is fresh buttermilk, which you can use in all kinds of recipes. 9. Gather the butter collected in the bowl together and store in a clean air tight container. 10. Refrigerate it and use it when needed. The butter will stay well for 1 or 2 months if stored and used right. Always use a dry spoon. 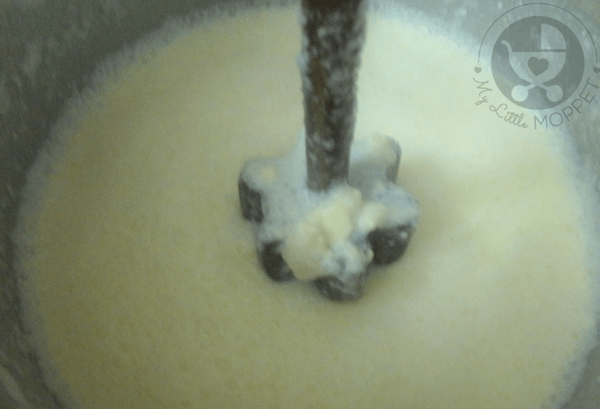 The thickness of the malai depends on the type of milk; full cream milk will yield better butter. To easily collect the malai on top of milk, refrigerate milk (after bringing to room temperature) and collect it. You can also use a normal blender instead of the traditional churner (mathu), but I would always avoid doing so due to the mess and grease the process leaves to the mixer jar. If you are using a mixie ensure that you run it at intervals.The jar shouldn’t get heated up. 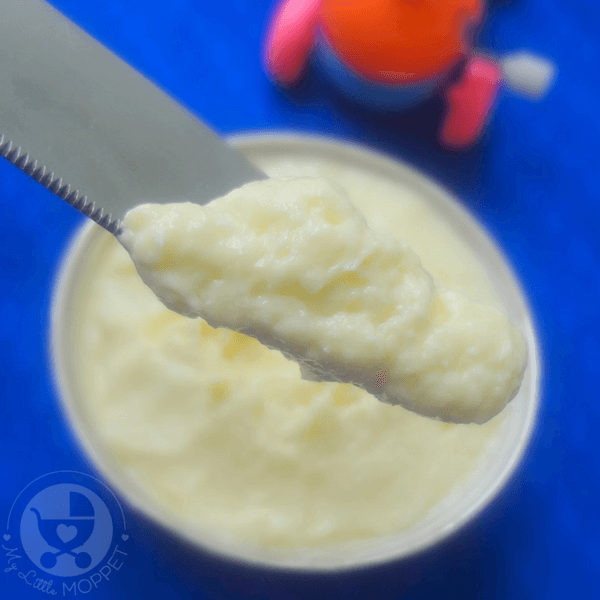 If you want to make ghee, let the butter come to room temperature first. My grandmother offered some extra tips: Using chilled water or few ice cubes helps obtaining butter quick & easy. Churning the butter early in the morning/post sun set reduces the process time as the butter tends to melt rather than getting collected because of day temperature. Now that you have your lovely homemade butter, you can use it in cooking, in sandwiches or on your parathas. Used in moderation, this is a great way to take your dish to the next level! Store bought butter is made using high heat and pressure that removes all nutrients. 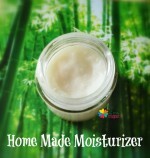 Try making your own preservative-free homemade butter - it's much better! Heat milk in a boiling pan and let it boil. (Use full fat full cream milk). When it is about boil,simmer and let it get heated up for 5 minutes.Ensure that the milk does not overflow. Turn off the heat and bring the milk to room temperature. You will find a thick layer of malai on top of it. 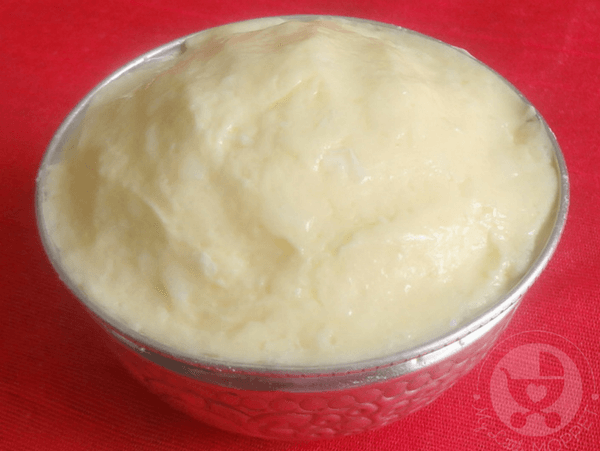 Collect the malai or cream using a clean spoon and store it in a container or glass bottle. Ensure that the container is absolutely clean and dry. Store the cream in the refrigerator. Repeat this process for 15-20 days till you have enough cream. 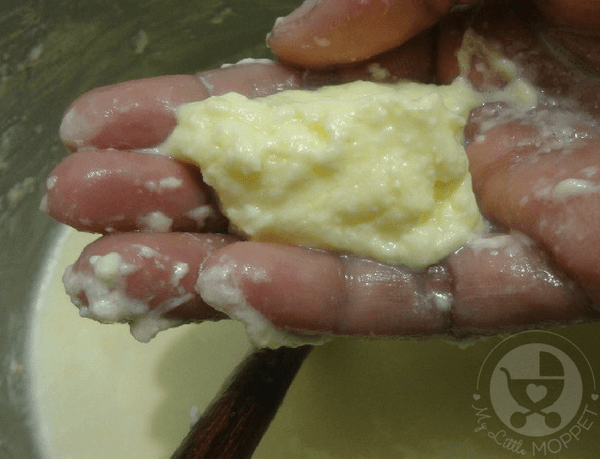 Once the container is full or you have enough malai to make butter, add curd to the container and allow the container to stay at room temperature for 8 hours or over night. Transfer the contents of this container to a vessel. Add water to it and start churning using a traditional whisk (mathu) or electric beater. The mixture will begin to froth in 2-5 minutes. Continue to whisk/beat/churn well in circular motion for few more minutes (not more than 10 minutes). You will find a thick layer of butter gathering on the top of the froth. Collect this using your hands and transfer to a bowl with water. Repeat the steps 6-7 till no more butter collects on top. The liquid left beneath is fresh buttermilk, which you can use in all kinds of recipes. Gather the butter collected in the bowl together and store in a clean air tight container. Refrigerate it and use it when needed. The butter will stay well for 1 or 2 months if stored and used right. Always use a dry spoon. Welcome dear.Yes, Full cream milk from any trusted source is okay. Mam whr can i check ur replies to my questions!!!! You can find it under the blog posting itself. 1 tsp per serving is okay (start with one serving first and then continue accordingly). 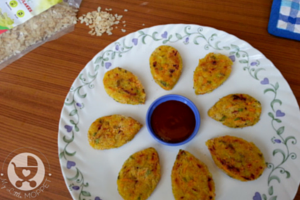 It would be better if you can add ghee or butter after boiling or steaming the food. 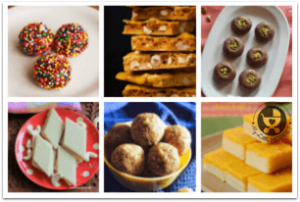 Healthy recipe…i have some doubts….should we freeze the malai collected or just refrigerate it.? And should we bring the malai room temperature before adding curd? You can refrigerate it dear. 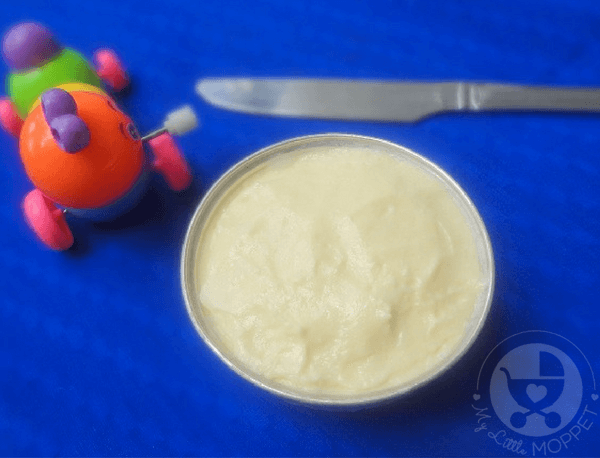 When is the right time to start butter for babies?